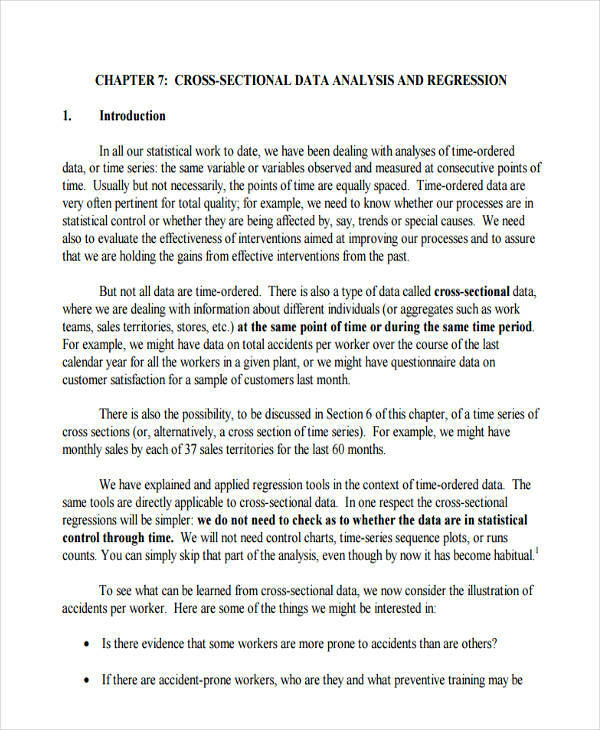 Regression analysis, when used in business, is often associated with break even analysis which is mainly concerned on determining the safety threshold for a business in connection with revenue or sales and the involved costs. Results of such analysis often determine which areas of the business need to be targeted in their next strategic plan to obtain higher sales. As it also is in profitability ratio analysis, every business demands a measure of which it can hold its profits or the capacity of a business in making profit. Such analysis produces results that determine the over all profit of a business after all costs have been accounted for. 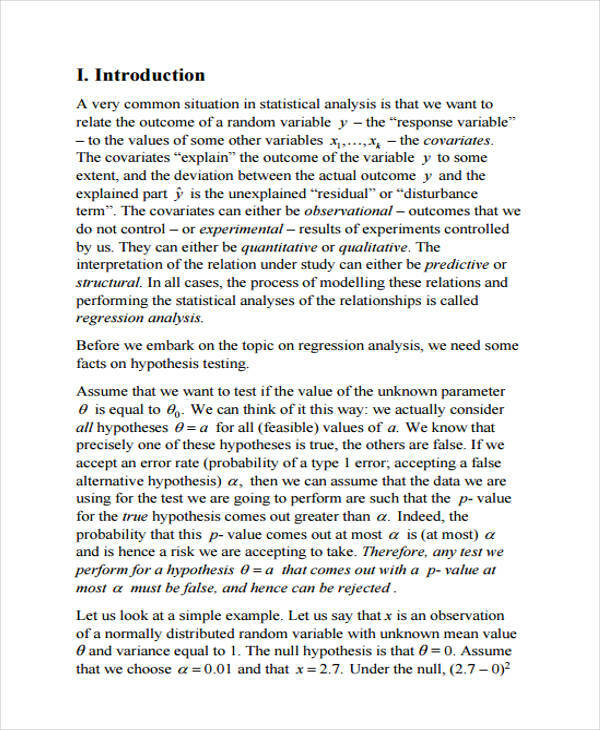 Regression analysis is simply a process used in statistics in evaluating the connection or association between variables of study. When used in business, it helps in prediction and forecasting scenarios, in which a certain variable in business produces a causal effect intended for the good of the business or used in business proposal, strategic plans, and marketing plans. 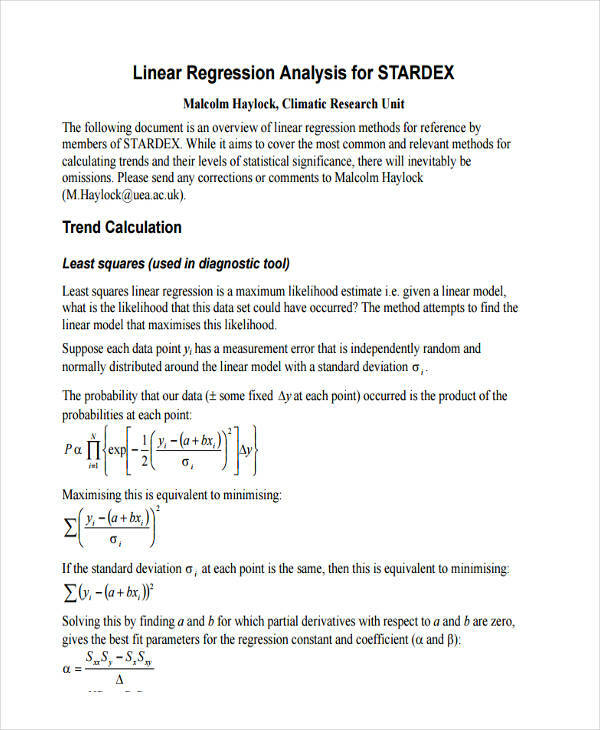 Examples for statistical regression displayed on the page show and explain how obtained data can be used to determine a positive outcome. This sample can be downloaded by clicking on the download link button below it. 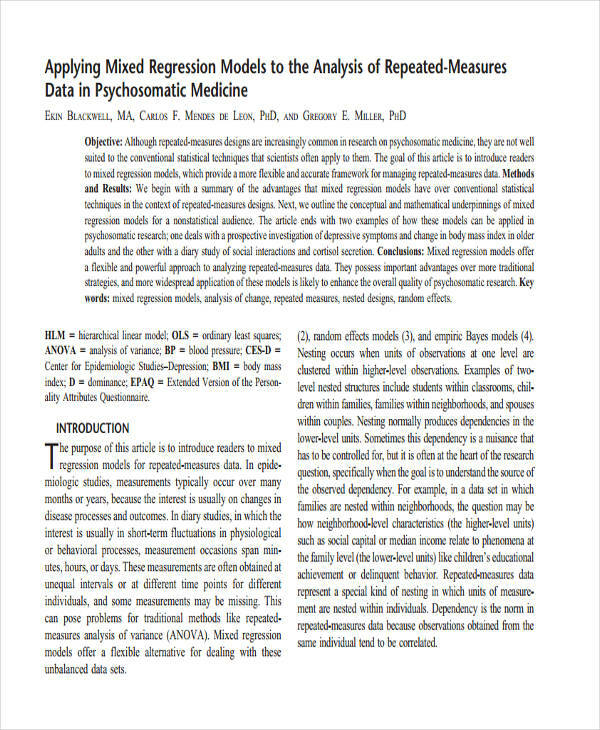 Other analysis examples in PDF are also found on the page for your perusal. 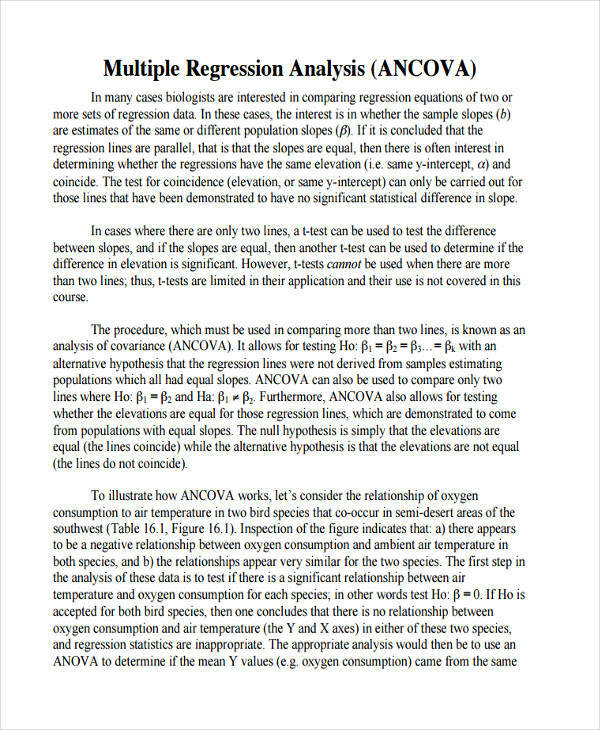 Analysis regression works by correlating variables and understanding the existing relationship between these variables. With that, one can then predict or foresee outcomes from being able to know how a variable reacts to another and knowing the result of which. 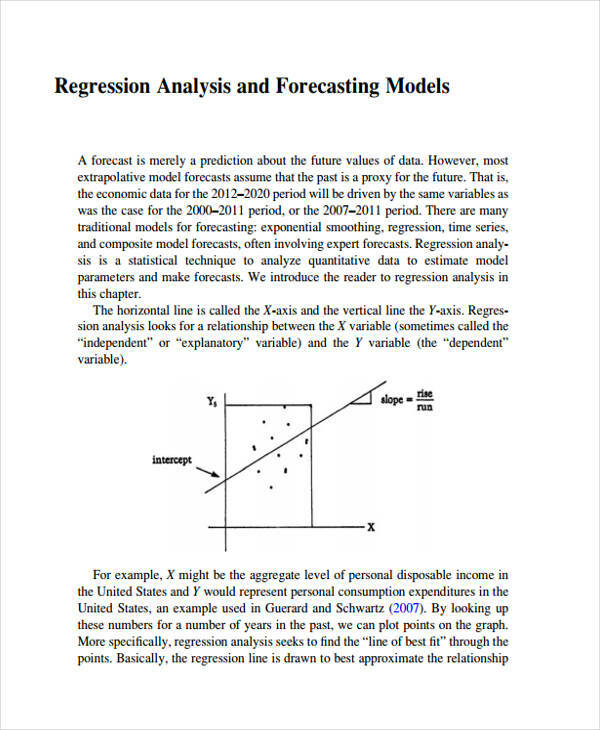 The example forecasting regression explains this theory further and in more detail, as shown in the page. You can access the file by clicking on the download link button below the simple analysis sample. Other free analysis examples are also available on the page for download. Simply scroll through this page to find the sample you are looking for. As with any statistical method, all and other relevant data available for chosen variables must be gathered. Make sure to get also necessary calculations involved, such as the mean, deviation, etc for such data. Determine which variables you would consider as independent and dependent variables. Plot corresponding data from the variables chosen. This would then show the possible relationship in between the chosen variables. Examples of these model sets for regression analysis are found in the page. All of which are available for download by clicking on the download button below the sample file. The files are all in PDF form so you may need a converter in order to access the analysis examples in word. A regression analysis has proven to be important in the prediction or forecasting of trends between variables which in turn aid managers in their next strategic plan and marketing plans to boost revenues in business. The different free analysis examples shown in the page illustrate each a different regression model that can be applied to different businesses or with your next business proposal. You can certainly check each one out and see if one model suits the type of analysis you want to perform for your business.